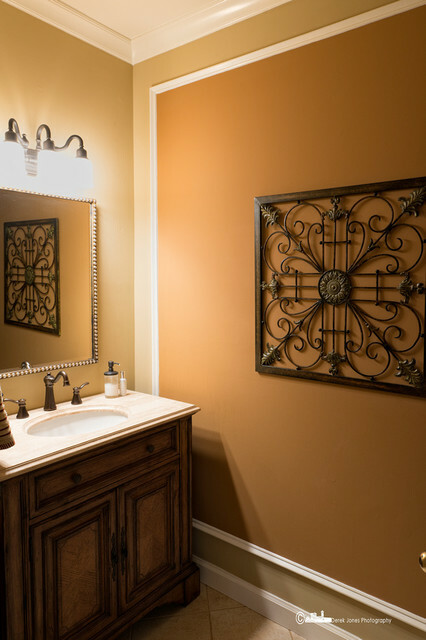 In the Powder Room we made a panel with Dado Molding and painted a Terra Cotta Color on the inside of it. We added a new cabinet, sink, faucet, mirror and light fixture and Voila! a new Powder Room!